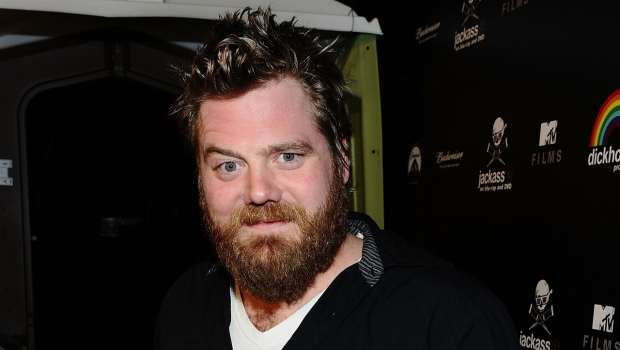 Sadly, Jackass costar died the other day in a car accident. According to sources Dunn was intoxicated while driving and crashing his car w/ a passenger in it. They both lost their lives. As if this wasnt sad enough, critic Robert Ebert took to the media to blast Dunn for drunk driving. There is a time and a place for everything, and somehow Ebert in all of his wisdom felt it appropriate to blast him for driving drunk while many of his fans and friends moarned his death. Too soon for that! 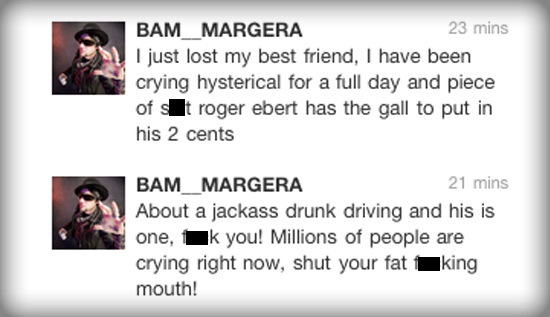 Costar & Dunn's best friend Bam took to his twitter page to tell Ebert just what he thought! This is sad. My prayers go up for his fam/friends/fans!